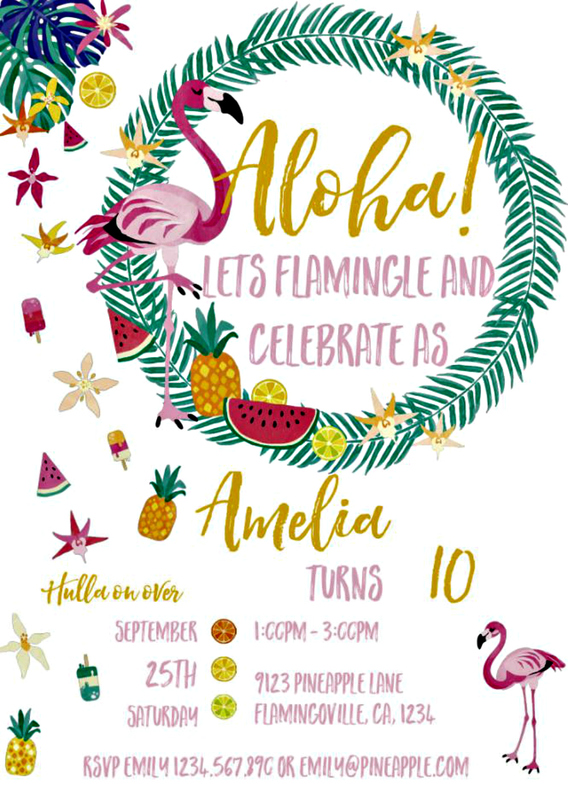 Inspired by everything Tropical, Sweet and of course PINK FLAMINGOES! Designed by Rubee, Encore's Resident Teen. 5 x 7 inch, 6 x 4 inch, HIGH QUALITY pdf Editable files. (2 invites per page). No Jpeg Image provided.